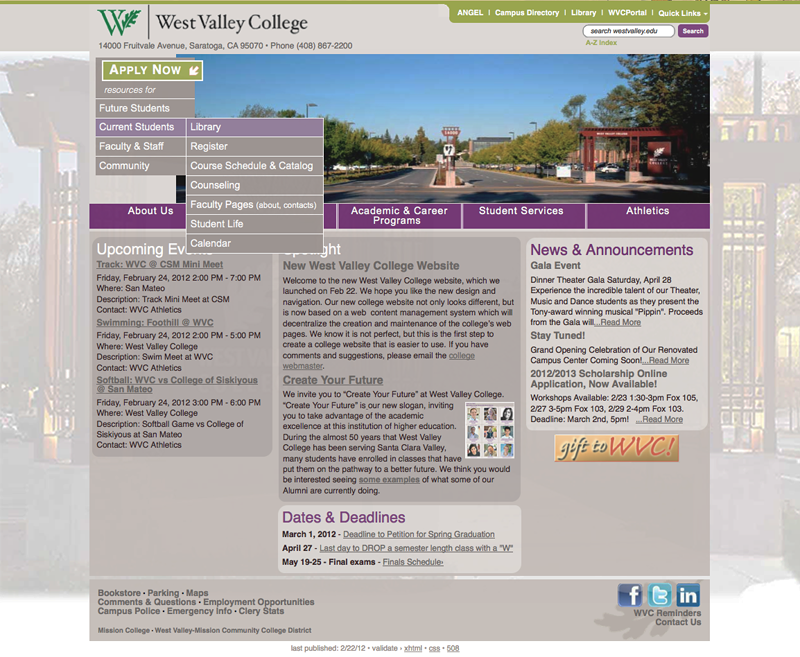 A year long project taking the college’s website from a 1990s constricted table-based version to a complete website graphical redesign and transfer to the OmniUpdate CMS. This project involved gathering user feedback on the previous site and developing an information architecture and graphic user interface for homepage and sub-pages. CSS, HTML, content development, and project management SEO was handled by the client.